When a door hinge or detent rod becomes dry, they will squeak. You may see grease on the door hinge and believe it is well greased, but the key to a properly lubricated door hinge is getting the lubricant into the door pin. This is why you want a door lubricant that flows well so it can penetrate into the tight space where the door pin rotates in the door hinge. Keep in mind, there are many different types of door hinges, but the premise is the same for all. Part 1 of 3: Cleaning the door hinges and detent rod. Tip: Choose a spray lubricant that flows really well. Detent rods also have pins that allow them to rotate a short distance. It is often difficult to access all of the detent rod as much of this mechanism is inside the door. When this is the case, you will need to spray more brake clean for cleaning and more lubricant to penetrate the tight spots. 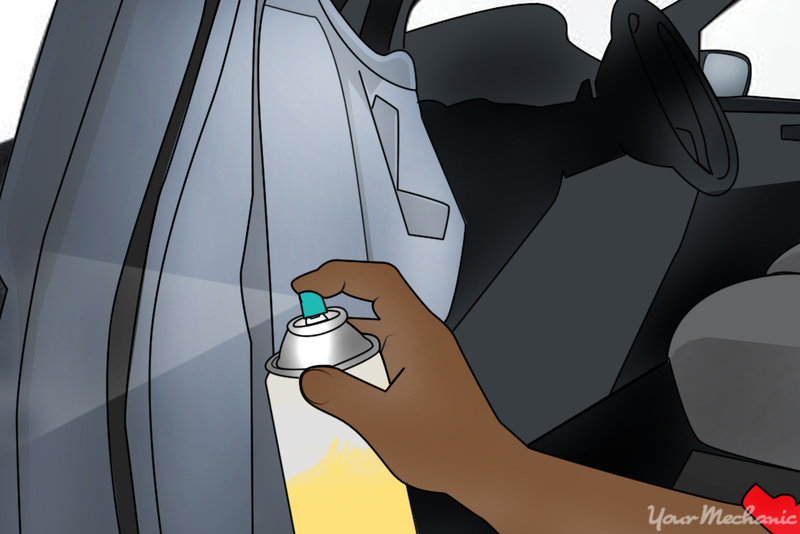 Doing this will create more smell and it will take longer to air out your car. Step 1: Open the door. Open the door and locate the door hinges and the detent rod. 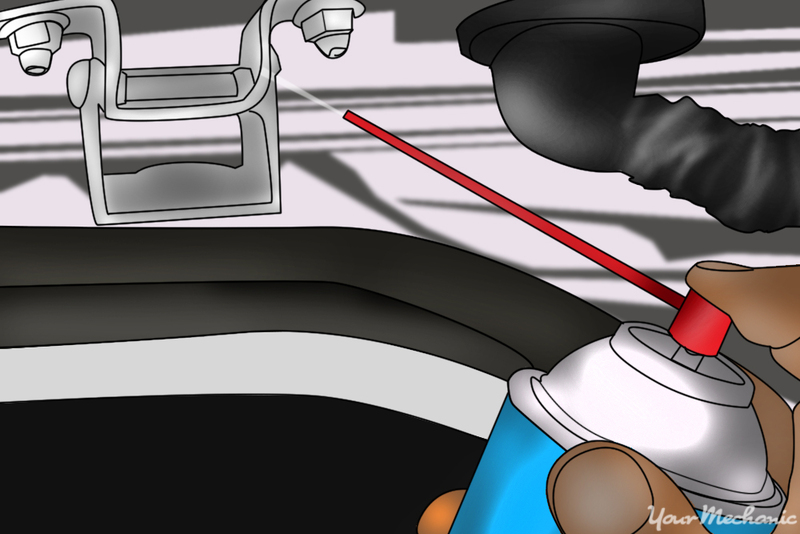 Tip: Before you begin spraying brake cleaner or lubricant, be sure to open all the door to allow for as much ventilation as possible. Step 2: Check to see if there is a buildup of grease. If there is a buildup of grease on the door hinges or detent rod, clean the excess with a rag. Step 3: Place the cardboard or low set pan on the ground. Be sure to place it under the door jamb where the door hinges are. Step 4: Thoroughly spray the door hinges and detent rod with brake cleaner. The brake cleaner will cut through the film of grease left behind after wiping away any excess. It will also allow the new lubricant to bond and flow into the hinge. Tip: Depending on how much old grease there is, brake cleaner will run down the door jamb onto the ground. You want to make sure to catch this excess with cardboard or a low set pan. Part 2 of 3: Spraying the door hinges and detent rod with lubricant. Step 1: Liberally spray the door hinges and detent rod with silicone spray lubricant. Be sure the rotating pin inside the hinge gets plenty of grease. 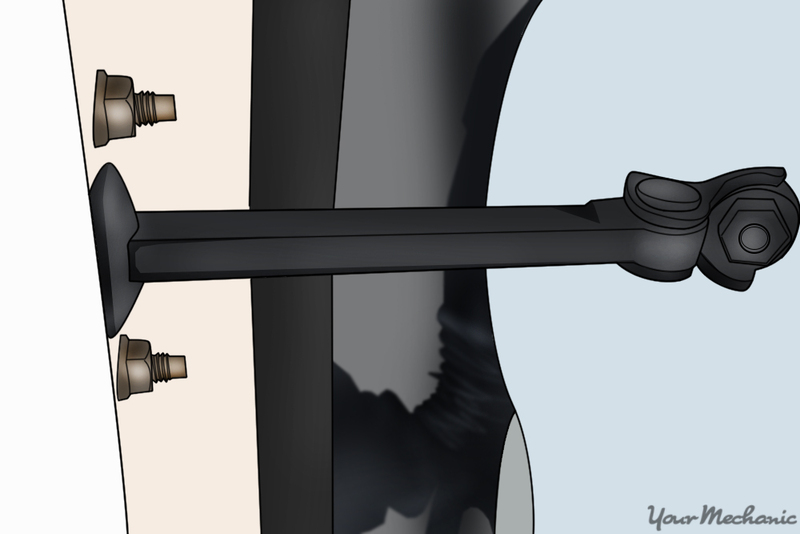 Take care to direct the lubricant spray into the hinge pin that rotates in the middle of the hinge. Tip: Choose a spray lubricant that doesn’t have a strong smell. It will permeate the inside of the car if it does. In all cases, open all the doors to allow for ventilation when spraying the hinges and detent rod. Step 2: Open and close the door. This will work the lubricant into the hinge pin. Step 3: Use a rag to wipe away any excess lubricant. Be sure to wipe it away from the door hinge and detent rod. Step 4: Repeat these steps. Do this for all doors, hatches, hoods and trunks. Part 3 of 3: Clearing out the smell from the spray lubricant. Step 1: Leave the doors open. Do this for as long as needed for the smell to air out. Tip: You can use compressed air from an air compressor to blow the smell away followed by the use of some automotive air freshener. 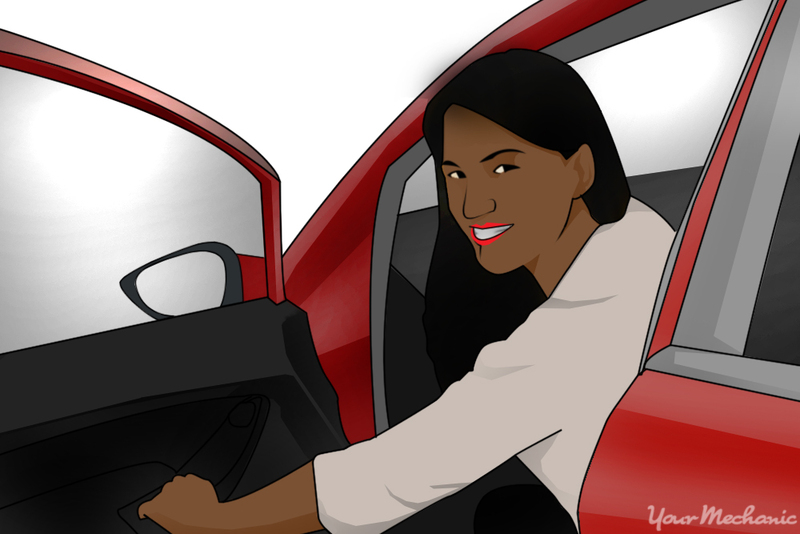 Step 2: Go for a drive. Drive around the block with the windows down. Tip: The amount of effort it will take you to remove the smell of brake cleaner or spray lubricant will depend on the brands you purchase. Some have stronger smells than others. Lubricating your car doors is an excellent way to help keep them quiet and operating as smoothly as possible. It is an easy job that has both a functional and an aesthetic payoff. If you notice that your car door is sagging, have one of YourMechanic’s mobile mechanics come to your home or place of business to perform an inspection. Q: How often should I lubricate suspension? I have a 2012 Jeep Grand Cherokee. Q: How do I program a personal entry code for the Keyless Entry Keypad to the memory feature?